When you start a new European nightcrawler bin, these little fellas will do just as their name suggests and night crawl all over the place. On several occasions I have woken up to worms out of the bin. There is a simple little trick you can use that will help them stay put. 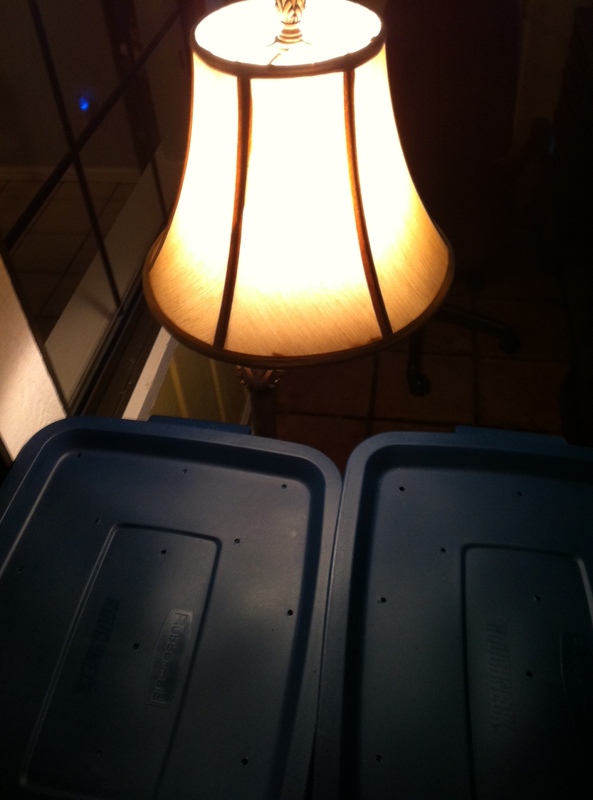 Place a lamp or light source above the bin at night and they will be good girls/boys and “stay”. After a few days, maybe a week or so they will get settled into their new home and be “trained” to stay put.